It’s very easy for one or more teeth to go missing because of dental damage, decay, or an unfortunate accident, leaving a person’s oral health and self-confidence completely compromised. At LakeView Family Dental, we’re able to help patients rebuild their smiles using a variety of strong, durable, and natural-looking restorations made in-house. From traditional bridges and dentures to state-of-the-art dental implants, we have everything you need to finally say “goodbye!” to the gaps. Which option is best for you? We can help you find out at a one-on-one consultation, so contact us today to schedule an appointment. Why Choose LakeView Family Dental for Teeth Replacements? A dental bridge is one of the most common and reliable ways to replace a single tooth or even a few consecutive missing ones. They work like this: two dental crowns are placed on the teeth on either side of the gap, and these are used to support the replacement teeth that fill it. 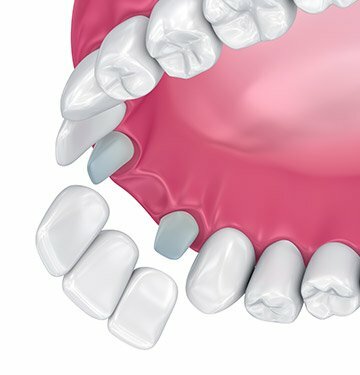 With a bridge, we can restore balance to the bite, prevent the remaining teeth from shifting, and renew a patient’s appearance all at the same time. 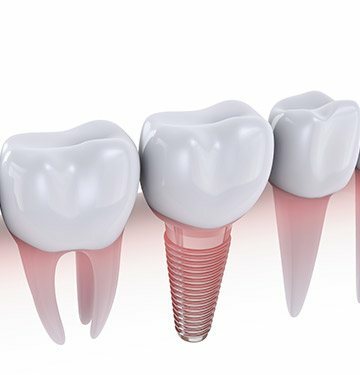 All of our dentists will tell you that dental implants are the premier way to replace any number of missing teeth. They are the only treatment that brings back the root as well as the crown of the tooth, creating something that is the second best thing to nature. Even better, implants are almost always paired with 100% porcelain restorations to deliver a natural appearance, and with the proper care, they may be trusted to last for 30 years or more. If you are missing quite a few teeth or even an entire row, dentures can serve as a fast, effective, and affordable replacement. 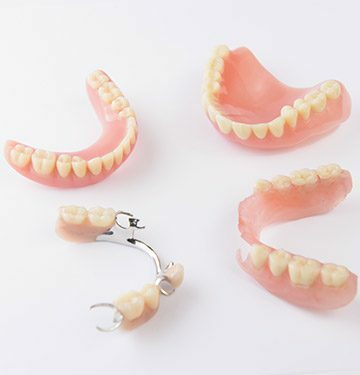 Modern-day dentures are nothing like the type your parents or grandparents might have worn, as they’re now smaller, sleeker, and more natural-looking than ever. We can provide partial dentures to replace numerous teeth along a single row, as well as full dentures to bring back an entire arch. We’re also able to offer both removable and fixed prosthetics depending on a patients' preferences.